DK Readers L1: Star Wars: Ready, Set, Podrace! 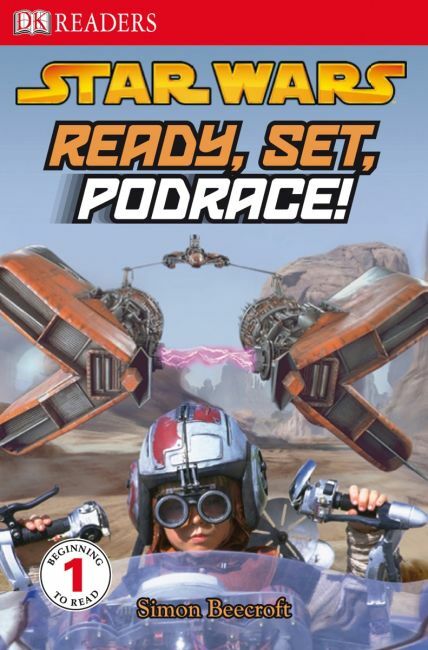 About DK Readers L1: Star Wars: Ready, Set, Podrace! DK's Star Wars Readers help kids learn to read while enjoying the stories and characters from the blockbuster movies. In Ready, Set, Podrace!, kids can put themselves in the pilot's seat ofthe fastest race in space! Learn all about Podracing - the racers, the racetrack, the dangers, and the excitement. DK Readers L0: Star Wars: Can You Spot a Jedi? DK Readers L1: Pirate Attack! DK Readers L1: Star Wars: The Clone Wars: Ahsoka in Action!